We have installed thousands of Automatic Gates around Perth. We supply complete packages, from gate design through to installation and maintenance, or simply repair your existing system. LiteStart is a Western Australian family owned business, established in 2000. Our team of highly trained professionals showcases a wide range of skills and experience, the owner himself having more than 40 years in the gate automation field, both nationally and internationally. We are dedicated to delivering a first class, professional service to our clients, and strive to raise the bar for automatic gate products in Perth. 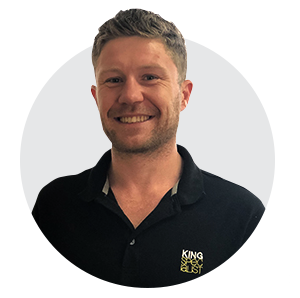 Samuel Hopkins (Sam) has close to 10 years experience in the construction and mining industry and has assisted with turn key solutions for projects big and small, ranging from residential projects through to major mining and construction operations around Western Australia. Sam has transferred his vast and diverse practical knowledge to effective and efficient management of gate projects from inception to conclusion. Leaving no stone unturned Sam will assist you with bringing your project to fruition and can assist in managing all aspects of your project. Shane O’Neill heads our team of reliable, experienced technicians. Shane completed three years specialised study of renewable & electrical energy systems, as well as sustainable energy management. His practical experience totals over seven years in the automation sector. Our General Manager, Doron Cohen, is an electronic communications engineer with 40 years experience, both locally and overseas. Doron’s expertise covers designing, building and maintaining systems including; industrial and robotic automation, as well as military communications, security systems, both civil and residential. Our friendly and efficient customer service representative, Karina Rodwell brings numerous years in office administration and customer service background to our reliable team and is always happy to assist our customers. Find out more about automatic gates and openers by contacting our Perth professionals. We’re always on hand to provide honest, reliable and professional advice and to answer any questions you may have on your mind.